'Mrs. 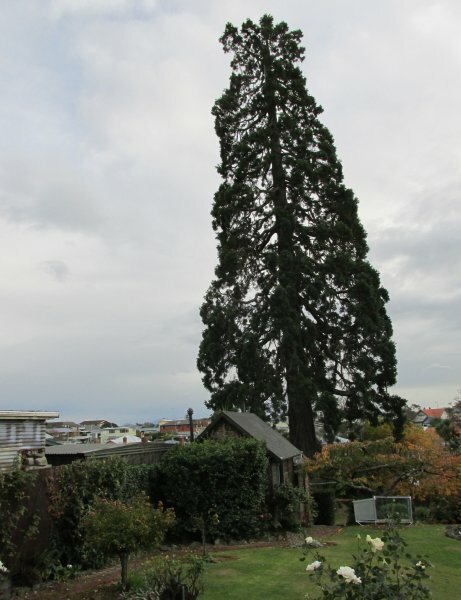 (Elizabeth) George Rhodes grew this tree from a seed that had belonged to her husband, George Rhodes of The Levels. 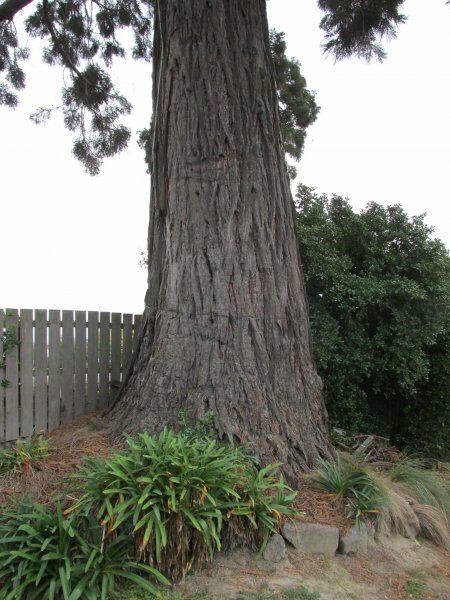 She later married Arthur Perry, and when they moved from Linwood House, the site of the present Municipal Buildings, to Beverley, Wai-iti Road, in 1873. she took the tree with her. It was then well-grown, and A.W. Wright bet her a case of Champagne that it would not grow' (Burstall, S.W. 1973. Forest Mensuration Report No. 22 pg. 42). 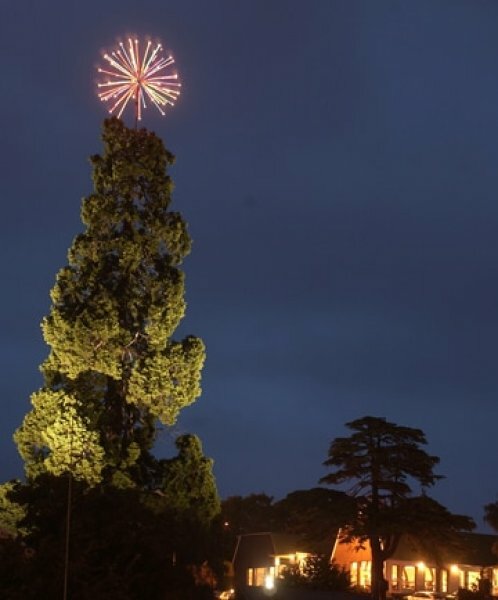 The tree is a prominent feature on the Timaru landscape and has been dressed with Christmas decorations each since 2003 (Cadwallader, B. 2017). 16 May 2016 Cadwallader, B.G. At the rear of the property and beside the RSA car park.